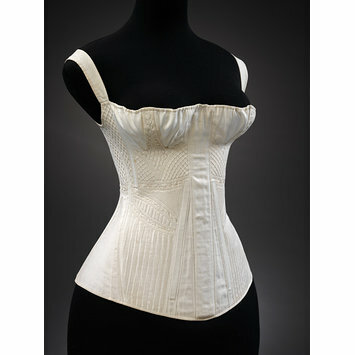 White cotton corset with silk trapunto work. Busk down centre middle, separate breast double-gussets with trapunto strap in centre of each breast. Corded and quilted work down sides of corset, armholes set quite far back. Laces down the back. 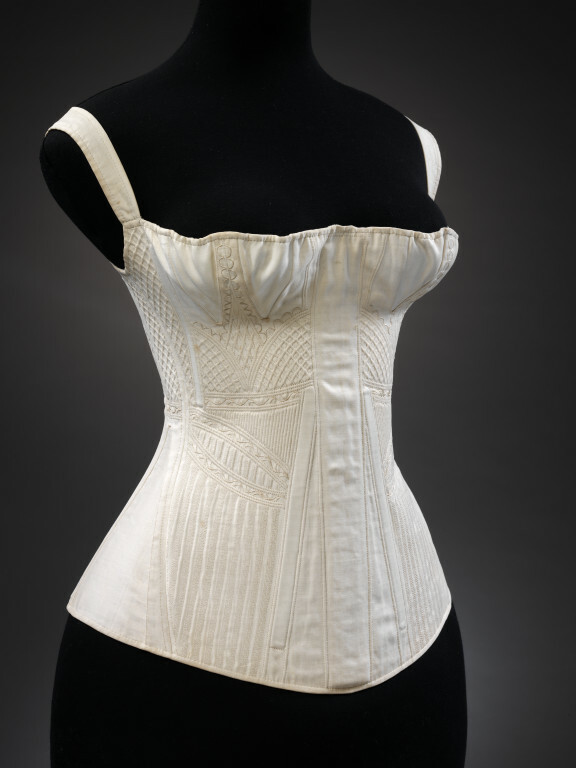 Unlike 18th century stays, this corset has gussets over the breasts and hips which allow for the natural curves of the female body. Decorative quilting around the diaphragm supports and lifts the breasts which are separated by a broad central busk. The busk also flattens the stomach. The wearer would have needed help to dress because the corset laces at the back.